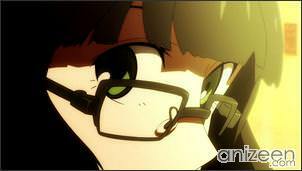 Mato Kuroi is just starting junior-high school, she has a fresh personality but sometimes she gets lost within her thoughts. 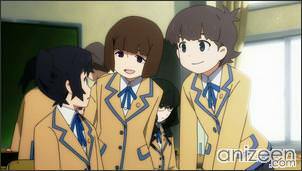 Soon after entering school, Mato becomes interested in becoming friends with another girl, Yomi Takanashi. Yomi has a shy personality, but at the same time seems to share a lot of interests in common with Mato. 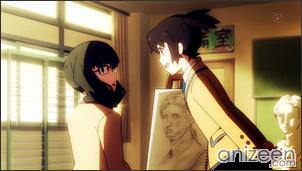 Yomi finds that Mato is an interesting girl and also likes to become her friend. As she arrives home, she communicates with Kagari Izuriha, one of her childhood friends who had an accident. Kagari doesn’t think twice to tell Yomi that she can’t get close to anyone except her. 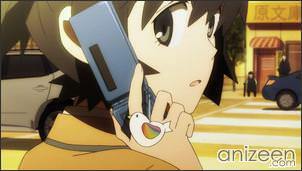 One day after school, Mato is making a call on her mobile phone, when Yomi sees a bird figurine hanging from it. Ir results that both, Yomi and Mato, like a particular illustration book. 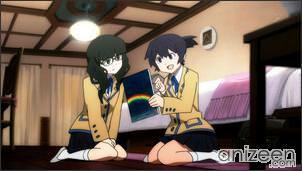 And Yomi without second thoughts invites Mato to her place to see a rare copy of that book. As fast as Yomi enters her room, she closes the curtains to avoid Kagari from seeing Mato. Yomi and Mato are really happy, both girls are having a good time, and suddenly, the doorbell starts to sound without pause and then Yomi is told that Kagari has arrived. 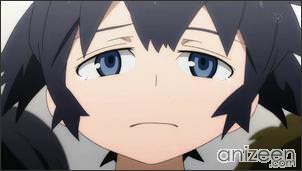 Kagari enters the room in a wheelchair and as Mato greets her, Kagari tells her that Yomi gave her his legs injuries. Quickly, the good mood Yomi and Mato had is gone, and Kagari begins to push Mato to eat and play as she pleases. Mato tries to resist as much as possible, and Yomi understands that she is not having a good time. 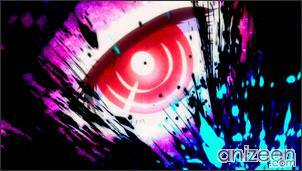 In the end Mato runs away in fear. She doesn’t understand why Kagari hurt her and why she has such a bitter look in her face. Later that night, Yomi apologizes with Mato. But for Kagari, that’s not enough and remembers Yomi that she belongs to her and that she has to take responsibility. The next day, Yomi avoids Mato. But as the days goes on, Mato understands that friendship is more important. After all, she likes Yomi and even if she receives anger from Kagari, Mato still wants to live good and bad moments with her new friend. 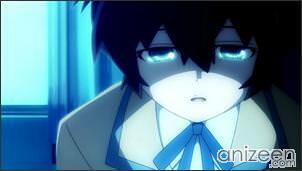 Mato Kuroi is a black-haired school girl with blue eyes. She is an innocent and naive junior high school student. She likes playing Basketball. She takes an interest in, and speaks to a girl she sees the first day, Takanashi Yomi. They became the best friends. She lives with her little brother Hiro and her mother. She has an affinity for things with stars on them as is reflected in her room decor and clothing. Yomi Takanashi is a gentle, good-natured girl who speaks politely and calmly she is also extremely aloof to the point where she is unwilling to make friends. Part of this is her attachment to Kagari Izuriha, both due to the fact that she blames herself for Kagari’s injury and because catering to all of Kagari’s demands was initially easier than coping with the mental trauma. 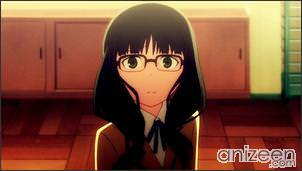 She is the member of the school’s art club who takes an interest in Mato after she offers her friendship. However, she is intimidated by Kagari, who doesn’t want her to make other friends. Yuu Kotari is a long time friend with Mato. She is the basketball club’s manager and first aid person. After befriending Mato, she became slightly possessive of her, even saying that Yomi’s disappearance is nothing to worry about. Due to the overwhelming emotional pain in her heart, she was able to make a connection with Strength. 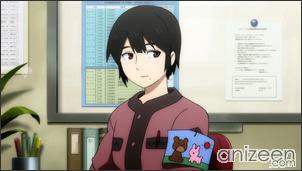 Saya Irino is a student counsellor at Mato and Yomi’s school. Despite claiming to offer advice to help students dealing with their personal issues, sometimes she has the habit of performing moral harassment on them to make their minds unstable for unknown reasons. After befriending Yuu in high school, Saya comes to learn of the other world from her, learning of her link to Black Gold Saw. 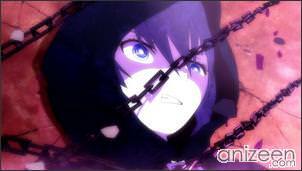 After Yuu and Strength switched places, she became determined to protect her, as well as to prevent the impact Black Rock Shooter has on the real world. Black★Rock Shooter (ブラック★ロックシューター), is a Japanese media franchise based on characters created by illustrator Ryohei “Huke” Fuke. The original illustration inspired a song of the same name by Supercell, which gained popularity on the Nico Nico Douga website. 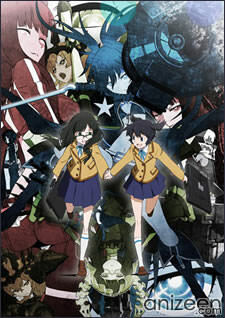 A 50-minute original video animation (OVA) based on the franchise was produced by Yutaka Yamamoto’s studio Ordet. 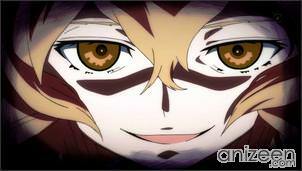 An eight-episode anime adaptation start airing on February 3, 2012.